We take pride and joy in our library and are lucky to have a great variety of books. We have a wide range of fictional books and authors such as Minecraft, Roald Dahl, Diary Of A Wimpy Kid, David Walliams and our most popular non-fiction book, 'The Guinness Book of World Records.' We have more than 5,000 books. To be specific, we have 7446! 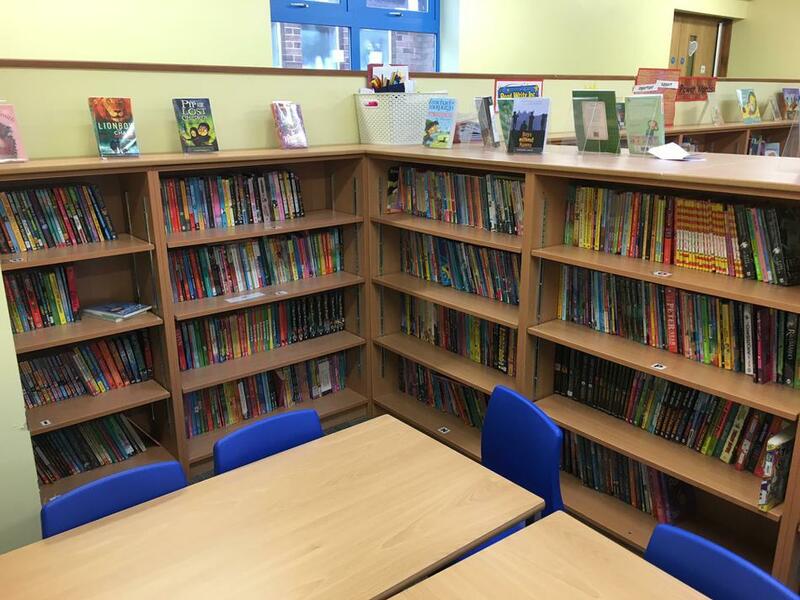 We want to encourage parents to use the library with their children in the morning, so it is open before school from 8.30am. It's also open at break times and at lunch time. All children can borrow one book at a time. Each book can be borrowed for a maximum of 21 days. We send out reminders for overdue books once a week. If your child has lost or damaged a book, please contact our librarian. We ask for a contribution of £5 towards the cost of replacing the book.